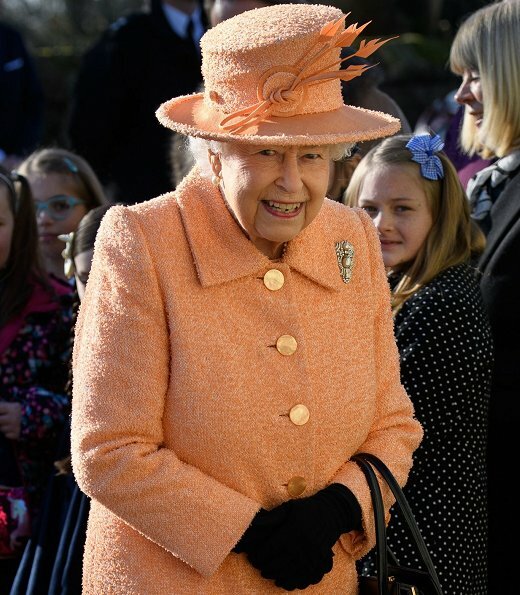 On February 3, 2019, Britain's Queen Elizabeth II attended Sunday Service at Saint Peter and Saint Paul Church in West Newton, King's Lynn, England. This is a lovely outfit with the color of Spring to brighten up a winter day. 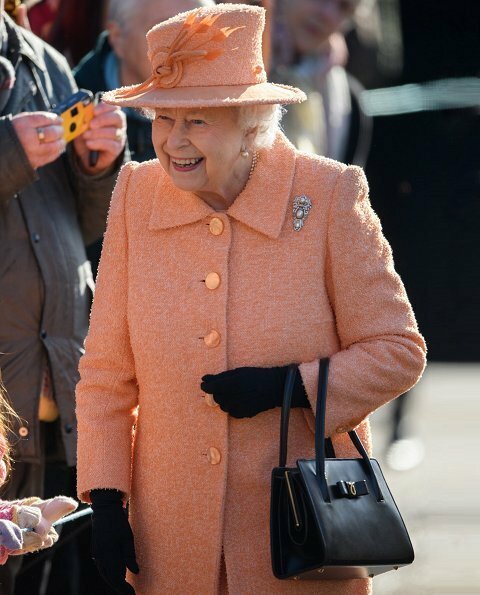 And the Queen looks wonderful -- healthy & vibrant. 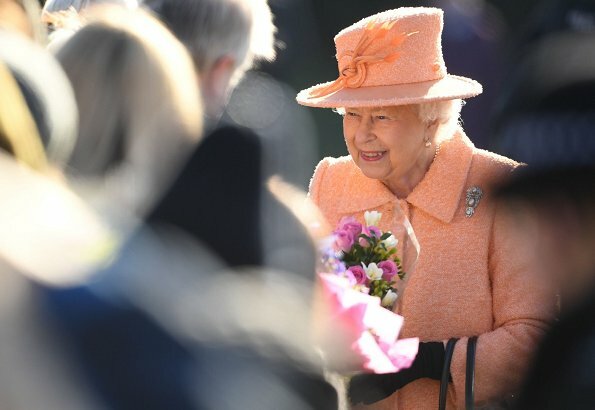 May we celebrate her healthy 100th birthday! What a beautiful for a sunny winter's sunday morning! 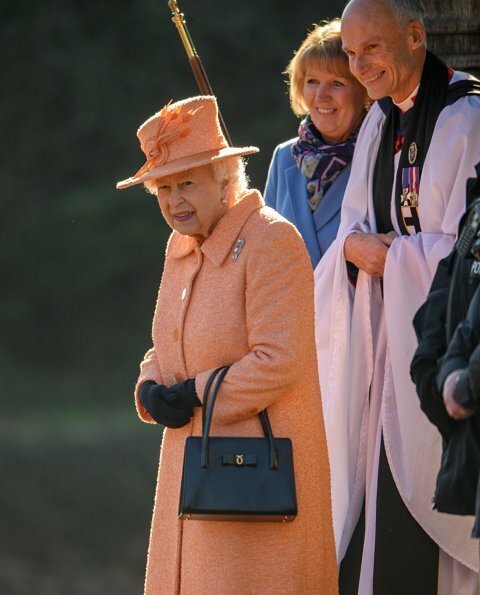 And this gorgeous smile on photo #2!I love everything here, the colour, the cut, the perfect fit, Queen Elizabeth must have some really good tailors and seamstresse on hand, the bouclé material,the hat - and not to forget the 'signature' handbag. This is heartwarming. I love it! She looks very good, love the color!